Oakley is a popular eye wear and performance gear manufacturer. Oakley's products are well-known for their advanced technology, which has been developed with extensive athlete input and field-testing. With Big Apple Buddy’s personal shopping service, you can now buy direct from the Oakley USA Online Store anytime, anywhere. Oakley is flexible to any sport; from golf to surfing to cycling, each product is made with exact precision to best shield your eyes in their respective environments. The Radarlock Path Photochromic, one of the more exclusive styles, features the ingenious Switchlock technology which makes lens changing fast and hassle-free. 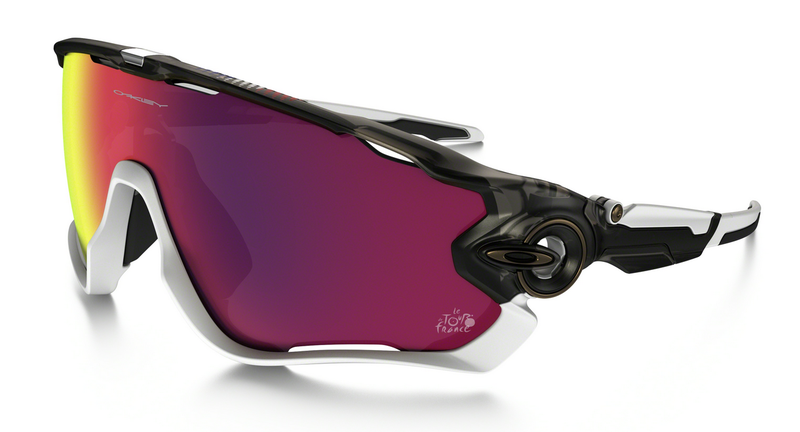 For runners and cyclists, the Tour de France Prizm Road Jawbreaker is the ultimate pair of performance sunglasses. Armed with patented High Definition Optics, the Oakley Jawbreaker provides superior optical clarity and razor-sharp vision at every angle. For sports car fans, don't miss the limited edition Scuderia Ferrari Collection Polarized Madman, which might well be the boldest design we've seen this year from Oakley. To complete the look, Oakley also offers a wide range of apparel, including compressor tops, woven shirts and double-edge boardshorts. If you're looking to buy Oakley gear, we highly recommend shopping at the Oakley USA Online Store, which has the largest selection of Oakley products in the world. Unfortunately, the Oakley USA Online Store does not currently offer international shipping. Big Apple Buddy, your personal shopper, can however help you buy from the USA Oakley Store and ship the items to your doorstep, regardless of where you are in the world. If you would like to buy from the Oakley USA Online Store, simply let us know which items you would like to order (by filling out the form below) and we’ll get back to you with a free international shipping quote within 24 hours!